The Vanishing is now in Audiobook! Well, I had quite a surprise when I was checking my author central account on Amazon today. 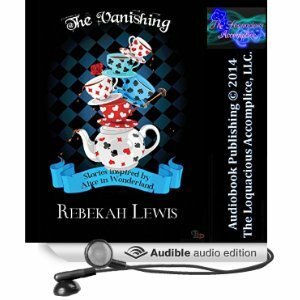 The Vanishing, is (I believe) the final one of the Wonderland Tales short stories to be narrated for Audible. The narrator is Sassy Salcedo (I did not choose the narrator). The links for the audiobook can be found on this page. Enjoy! Previous postGuess who’s coming baaaaaaack?